★★★★★ My husband got this for me for our anniversary. I shower with it on pretty much every day and it still looks brand New! ★★★★★ Super cute choker. 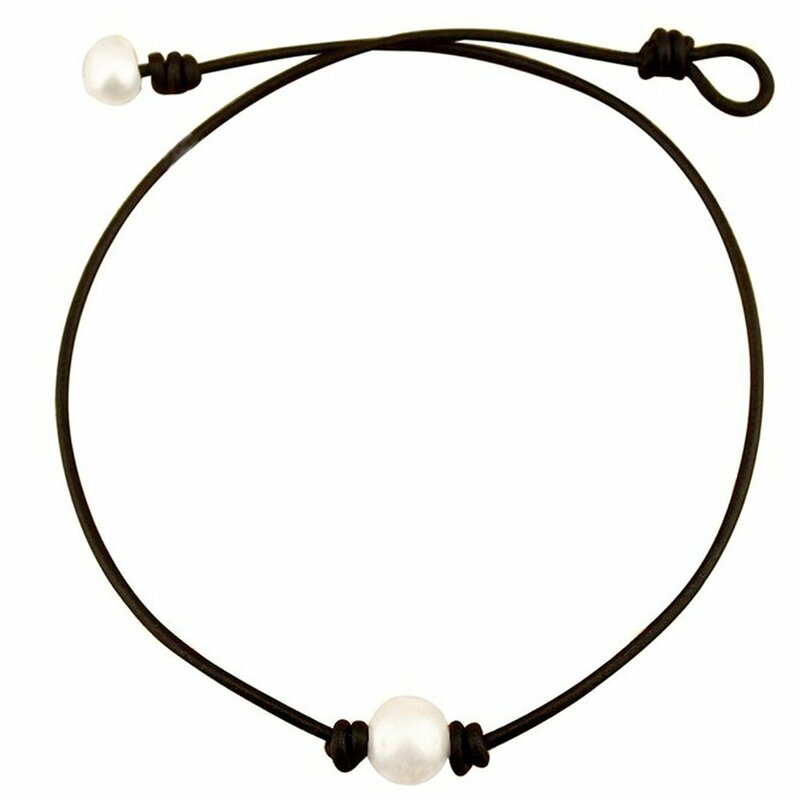 This was a gift for my daughter and it has become her favorite choker. Great quality and super cute. ★★★★★ I love it! I wear it all of the time now when I'm swimming, showering, and playing tennis. It goes with any outfit, elegant edgy, you name it. ★★★★★ Daughter wears it 24/7 - seems to be the trend - it has held up for swimming/beach/ocean so far since we bought it. ★★★★★ My daughter loves it & never takes off (other than to shower). So it is durable & pretty. Also fits perfectly as a choker necklace. I like the extra detail of the end pearl.